Prediction in television is a dangerous game. Already since we began talking about a second channel nearly three years ago (which was before Pilkington had reported, and the Government had given the BBC the go-ahead, so that what we then had was a case, to persuade, and not a plan, to propound) my colleagues and I have had to alter our proposals considerably, and more than once. Much even of that part of them which we thought safe to make public has been overtaken, by changes of date for starting up, of the progress of coverage across the country, and perhaps most importantly of all, of programme thinking in a medium so unpredictably fluid and fast moving that yesterday’s good idea seems inadequate today, and impossibly old fashioned tomorrow. Even now, with the opening night really imminent, I have in front of me the second master plan from Michael Peacock, whose exciting responsibility BBC-2 is, and this is, he warns, still likely to be no more than a rehearsal, on paper, of what eventually will happen. (I am also acutely conscious, as I write, that before this Handbook has ceased its annual validity, that eventuality will have been an accomplished fact for months!) Now there is nothing surprising about such changes in tactics. In fact, they are inevitable for a number of reasons. We have been, and shall be throughout 1964 and afterwards, very dependent on the prompt delivery of a vast range of new equipment, and the keeping to time-table of all kinds of construction, from studios and offices to cutting rooms and warehouses. This is the technical problem. We are equally dependent on the success of the people we have taken on, who are being assimilated into the general productive capacity of BBC Television as a whole, so that two services can be maintained instead of one, and half as many hours again of new programmes can reach the screen. We are heavily dependent, again, on the flexibility and efficiency of our training schemes, for while a few experts have moved across from the commercial companies, most of the recruits are young, and new to television, and incidentally, must be given, so far as possible, a run on the nursery slopes. About a thousand newcomers, in all classes of output, production assistants, floor managers, designers, costume and make-up assistants, film editors, cameramen, and every category of technician, constitute a formidable ‘citizen army’ who must be made ready to play their full role in the field. This is the human problem. Having reached the UHF 625-line screen, it must be with something that looks, taking not only a week as a whole, but any one evening, new, and lively, and different, something which will have an appeal for large groups of viewers, and for smaller groups as well, and something which takes off from the point of technical sophistication and programme maturity already reached by BBC-1. This is the professional problem. No one television organization has ever been asked to do this before. It is an entirely different situation from the setting up of an alternative system, as happened when commercial television came into being in this country, and was based on a substantial diversion of qualified personnel from the BBC. It is altogether different again from starting television in simple circumstances for an audience to whom it is a complete novelty, which is the condition confronting many of our brothers in the Commonwealth, and indeed in the emergent countries everywhere. Here you have the oldest television system in the world, with all the standards and models and examples it likes to think it has set for other television people in Britain and elsewhere, being called upon to begin again by improving on its current performance, because if it does not appear to be doing that, the public wrath will fall, and the Government’s confidence in the BBC will be shaken. 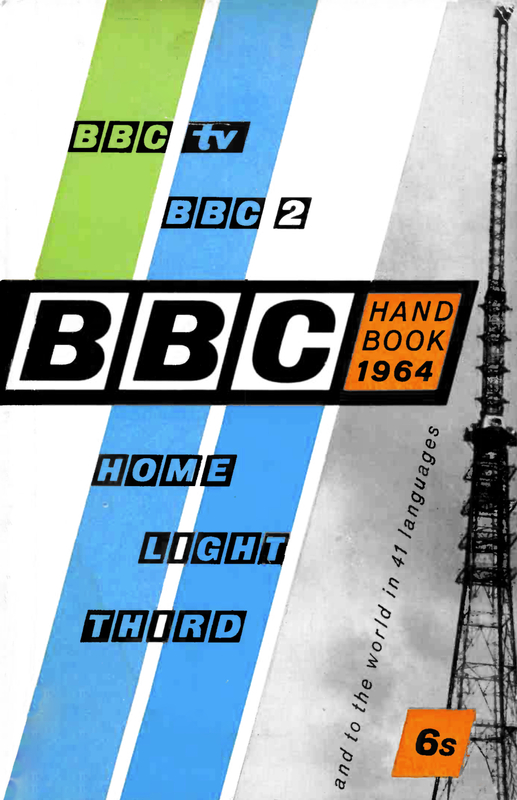 In other words, BBC-2 is not starting from scratch, but under the handicap of existing liveliness and variety in BBC-1, and the rapidly improving form of much commercial competition as well. This is a challenge we accept and we believe we can meet. But it does not mean that given a successful start in the South-East in 1964, this will be adequate for the Midlands and North in 1965, or for the further very important extensions, in particular to the other nations of the United Kingdom. We shall refuse to be content with whatever pattern emerges in the first year. I believe that viewers in 1964 (who, after all, do comprise one-fifth of the population, if they are properly converted), will discover that the freedom explicit in two channels quickly becomes so natural, so inevitable, that they will wonder how they were ever satisfied with anything less. But they must not suppose that they can settle down into a mere extension of the viewing routine which emerges from the ‘either/or’ situation. BBC-2 will not stay put (any more, of course than BBC-1 will). It will be continuingly, perhaps indefinitely, experimental. Release from a strait-jacket can have a permanently invigorating effect.